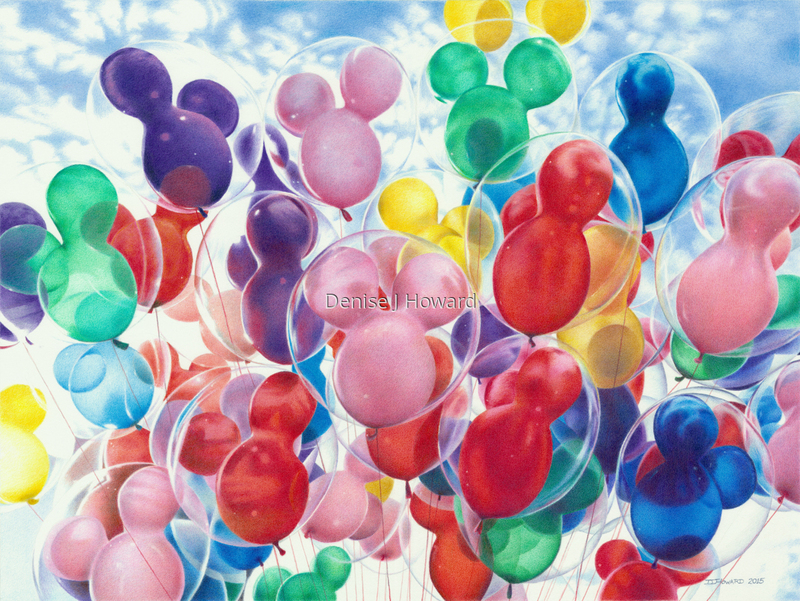 Few things lift one's spirits as high as a bouquet of balloons in the sky, full of sunlight and summer clouds, bobbling in the breeze. They are the essence of happiness. Colored pencil on Stonehenge paper. 9" x 12"13" x 17.25"17" x 22.5"